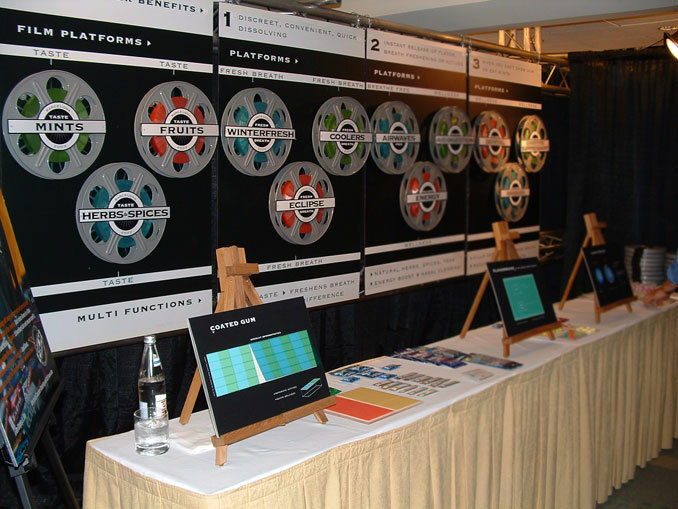 Create a booth display, presentation and sample kit for the Wrigley’s Thin Film Division to showcase the innovation and unique delivery system opportunities being explored with the company. 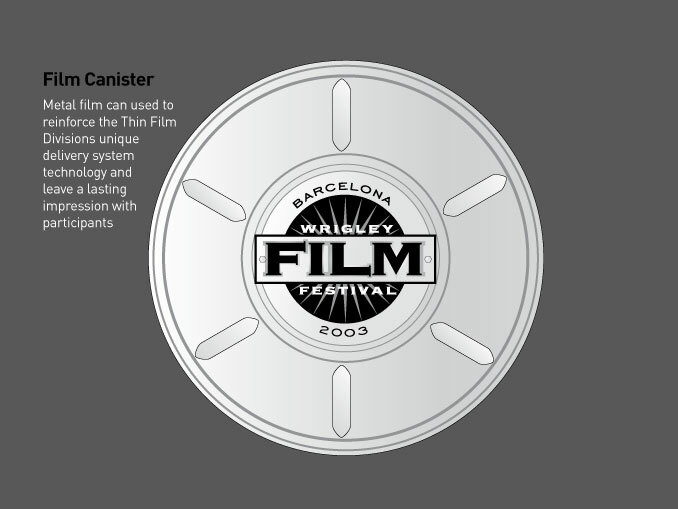 We created a memorable and engaging presentation for the Wrigley Film Festival. We wanted to convey the enthusiasm that the division had about their developments with the excitement of a foreign film festival. Full size film reels where wrapped with real product and mounted on the display. 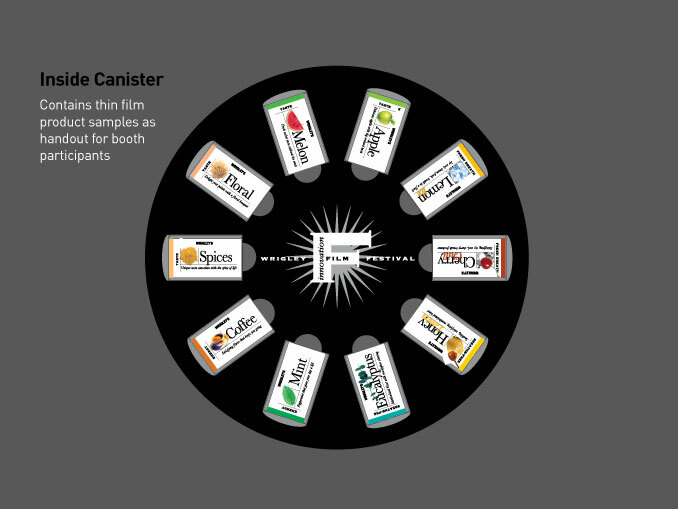 Sample packs of the product and an outline of the presentation were placed into a metal film canister as a take away to remember the event and taste the product at a later date.